Irving, TX (March 23, 2019) On the morning of March 23rd, a fatal dog bite accident happened at the O’Connor Animal Hospital at around 11:45 a.m. According to the Irving Police Department, a 33-year-old woman named Johana Villafane was visiting her two pit bulls at the facility since they were taken and quarantined for a prior bite accident. After she had been gone with the dogs for a while, a few of the staff members decided to check on her, which is when they found her outside on the ground bleeding due to being attacked by the two dogs. When emergency crews arrived to help, the dogs were still attacking Villafane. Because they were unable to get to her through the dogs, they had to shoot them so that they would stop mauling her. They immediately transported her to a nearby hospital for treatment. Unfortunately, she did not survive her critical injuries. The accident is currently under investigation, but witnesses stated that Villafane was walking the dogs when the accident occurred. We send our condolences to Johana Villafane’s family as they grieve over her untimely death. Our thoughts are with them at this time. Statistics show that almost 5 million people are bitten by dogs every year in America. Out of those millions of dog bites, about 1 in 5 of them result in infection. Even fewer dog bites result in death. It’s important for those who are harmed by dogs to seek a Texas personal injury lawyer who specializes in dog bite accidents. 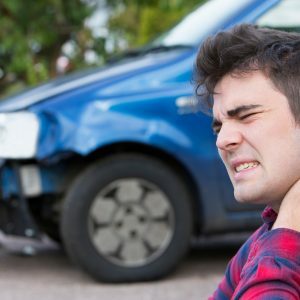 At Benton Law Firm, we help our injured clients bring their cases to civil court because we know how severe these accidents can be. Our experienced dog bite attorney has helped many injured victims recover compensation for medical expenses and more. If you or someone you know was harmed after being bit by a dog, call 214-219-4878 today.